Arlene Kostant is a State Bar Certified Family Law Specialist assisting clients in resolving family law issues through negotiation, mediation and collaboration. She is an active participant in Collaborative Practice San Francisco, Collaborative Practice East Bay, the Northern California Public Education Campaign and Collaborative Practice California. She is co-Desk Editor of Mediation and Alternative Dispute Resolution for the Collaborative Review, the official publication of the International Academy of Collaborative Professionals. In addition to her work with collaborative practice groups, Arlene is a member and former chair of the San Francisco Bar Association’s Family Law Section. She has acted as judge pro tem for the San Francisco Family Law court and has an “AV” rating by Martindale-Hubbell. She was selected by the San Francisco Daily Journal as one of California’s 25 most sought-after family law mediators and was named by Law and Politics Publishers as one of the top 50 female lawyers (“Super Lawyers”) in Northern California. 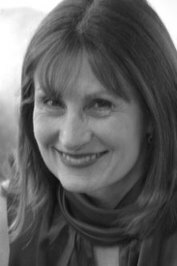 Arlene has trained extensively in mediation and collaboration skills, has previously taught mediation at Hastings Law School and currently teaches classes in negotiation at Hastings and Boalt Law Schools. In addition, she leads negotiation workshops for law firms, collaborative practice groups and private industry. Arlene is committed to helping parties stay out of court and to reaching solutions that truly work for them. New York University, Class of 1970, B.A. University of Rochester, Paris, France, Class of 1972, M.A.